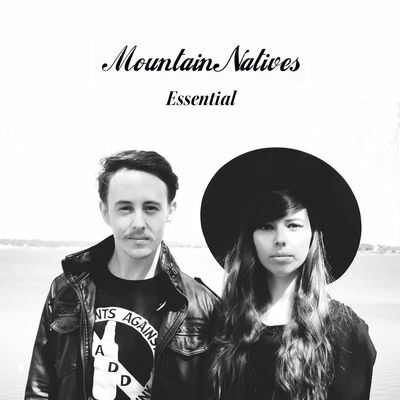 Mountain Natives, an indie folk band from Dallas, Texas, have self-released their debut album 'Essential' and are currently on their second tour, after singer Philip Pappas overcome cancer. Mountain Natives to sing about the 'Essentials' of overcoming mountains and living a life with hope, laughter, fulfilled dreams, and copious amounts of coffee. Upon graduating with a Bachelor's in Physics, Philip Pappas hit a wall of sadness when he realized that he was doing it for monetary reasons and had never asked the Lord what HE wanted him to pursue. Deep down he had known the answer all along, but never felt worthy to pursue what his heart truly desired. So he stepped out in faith. Three years ago he had just turned 27, met the woman who was to become his wife, was pursuing his craft of music, and then he got cancer. His soon to be fiance pointed out a mole on his shoulder and asked him to go to the dermatologist. The mole was more than twice the size it needed to be to metastasize and spread malignant melanoma throughout his body. It was biopsied. And it was cancerous. He was then referred to an oncologist for surgery to find where the cancer had spread. After a rally of prayer from loved ones, a surprised doctor sent Philip home from surgery with a 5 inch scar on his shoulder. The cancer was gone. The music that was produced by Philip and Loren was not from a place of wallowing in the doubt of life or death. These 'Essential' songs were born from a place of hope and gratitude. That hope is impressed on not just the ears but the heart of the listener. Hope for the miraculous. Philip and Loren want you to believe in the hope that the impossible is possible. Mountains of adversity can be thrown into the sea.